Have you ever had a busted pipe in the middle of the night? Or have smelled gas at the break of dawn? You may have a gas leak. At times like these, you can rely on us to fix all of your plumbing issues for you. You can call us up 24 hours a day, every day of the week. We have skilled plumbers on standby and ready for action anytime. All of our plumbers are adept in dealing with different sorts of plumbing issues, ranging from minor leak issues, to the more pressing ones such as a broken pipe, or a life-threatening gas leak. Our plumbers have seen it all. There is nothing that our plumbers will be unable to fix. We have plumbers who have obtained the necessary plumbing license as well as a gas plumbing license so you can be assured that they are trained to handle every type of emergency situation. Not only that, our plumbers take time to have further trainings and are up-to-date with today’s industry standards. So when you experience any of these, do not take it for granted. Call us up immediately. Prolonging the issue may cause more damage to the structure and will just be more costly to fix. If you are unsure whether it is an emergency or not, do not worry, we will tell you if it can wait until our regular business hours. We cater to private and commercial properties’ plumbing emergencies alike. We know how difficult it is to live in a flooded home or work in a flooded office. Thus, we make sure that we treat each emergency with utmost urgency. You can rely on us to be on location the soonest possible time. Here at Quality Plumbing and Gas, we invest in up-to-date equipment so that we will be able to address any plumbing issue. Our plumbers come to your office or your home well-equipped. You can expect that we will not give you an excuse of not being able to fix your issue because we left something in our office. We explain to you in detail what the real problem is, give you the cause of the issue, and let you know about our plan of action. We are also more than willing to give you plumbing advice. By doing this, you would be made aware of what to do and what not to do, so that you can prevent major plumbing emergencies from happening in the future. The minute we receive your call and are made aware of your plumbing issues, our plumbers may also give you instructions that you should carry out to prevent further damage in your home. In cases where there is flooding, our plumbers may instruct you to turn off your water supply or your main water valve as soon as possible. It may also be necessary to turn off electricity and gas as a safety precaution. 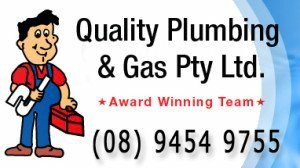 When choosing Quality Plumbing and Gas Ltd, we make sure that we do it right the first time all the time. Our plumbers will make sure that every task is carried out as professionally and as efficiently as possible. We see to it that we follow Australia’s plumbing regulations to a tee. You could also expect reasonable pricing. We explain all costs to you before a job is carried out. There are no hidden charges. We also make sure that our prices are competitive and fair. 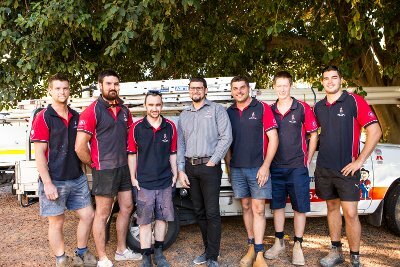 We have been catering to any plumbing job and emergencies for over 15 years now. Through all these years, we have had satisfied customers who only have kind words to say and have always recommended us to their friends and family. Their testimonials have further cemented our reputation of being plumbers who only do high quality jobs. There is no plumbing emergency that we cannot fix. 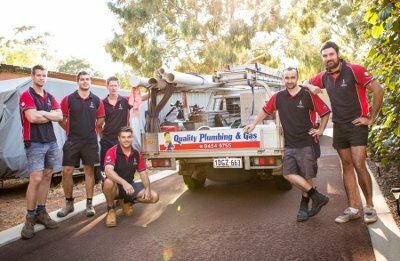 So for all your plumbing emergencies in and around Perth, feel free to call us up any time of the day. We will be glad to be of service to you—even on holidays.